Much in the way of Alan Howarth performing a selection of his film works backed by the Emeralds as audio-visual exhibit of a "Sound Mind and Body" during Unsound New York, there was also John Carpenter's own recent re-ascent into the spotlight with his "Lost Themes" for Sacred Bones and tour of this past year. Wherein Carpenter applied his signature synth and electric orchestrations to imagined films and lost concepts never realized for the big screen which was discussed in The Wire's Invisible Jukebox with the composer in last year's February issue. On the subject of his unexpected higher profile in the music world, and continued following in horror and cult cinema a cultures, Carpenter spoke with The Quietus, on how "The Horror In Music Comes From The Silence" and again in advance of the recent string of performances, "No Longer Lost: John Carpenter on Playing Live". What could be seen as Italian cinema's (albeit lower budget and correspondingly spaldash) analog to Carpenter, Lucio Fulci particularly when considered in the setting of the frequent collaborations with Fabio Frizzi on many of Fulci's central films, from "Manhattan Baby" to "Zombi 2", "The Beyond" and "City of the Living Dead" together the director/composer team produced an abundance of core Giallo spanning the 1970s and 1980s of varying genres from supernatural sci-fi to undead horror. With recent pieces in Dangerous Minds, "Nightmare Concert: An Interview with Horror Soundtrack Maestro Fabio Frizzi" and Vice "Bloody, Disgusting, and Just Perfect: An Interview with Italian Horror Composer Fabio Frizzi" and Fangoria Magazine as well as FACT Mag's "A Beginner’s Guide to Horror Soundtrack Legend Fabio Frizzi"introducing a whole new audience to the audio-visual eccentricities, absurdities, gore and shock of the duo's decades-spanning shared filmography. 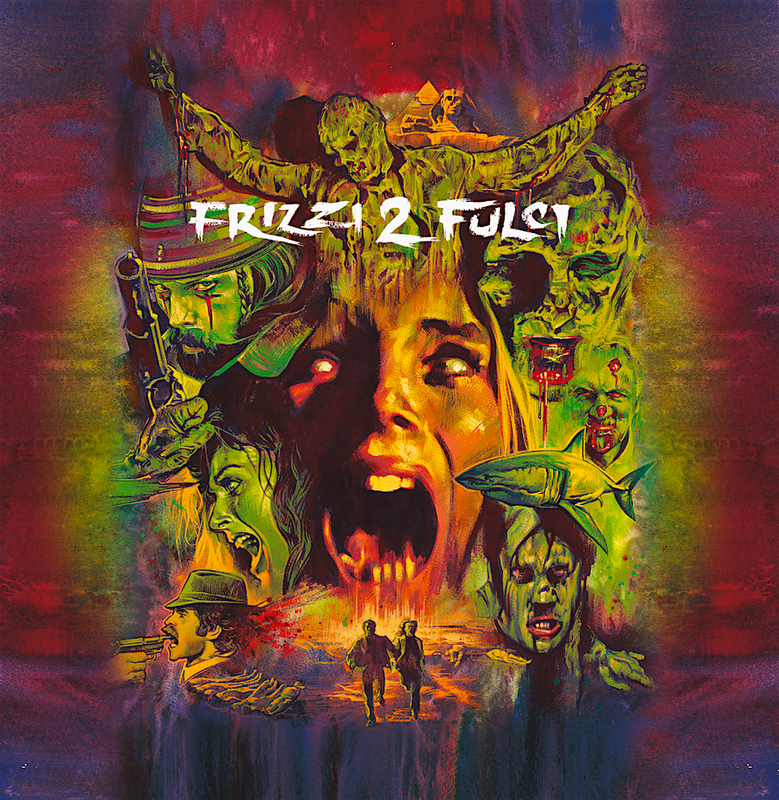 The Frizzi 2 Fulci tour was initiated last year with the second annual MondoCon in Austin Texas. The festival's success at "MondoCon Keeping the Fans Happy" involved among numerous screenings, film and soundtrack releases, exhibits of exclusive poster art and graphics, as well as a night of "Frizzi 2 Fulci Haunts Austin: Fabio Frizzi on Melody and Mayhem with Lucio Fulci". With this year's event hosting a second Frizzi 2 Fulci night around the expanded and unreleased music for "The Beyond: Composer's Cut Live" and a following North American tour hitting select cities, including Beyond Fest in Los Angeles and Seattle's date at Neumos. The landscape these artists have re-emerged into has been unquestionably shaped by the burgeoning reissue revival mining decades of subterranean soundtracks, musique concrete, neofolk, jazz and experimental work that have adorned much of the 20th Century's cult cinema. These rich veins continue to be mined by reissue institutions like, Death Waltz, Mondo and WaxWork in new editions often corresponding with restorations and re-release of quality archival imprints for genre film like Arrow Films and Scream Factory. There are seeming whole new genres being born of the thematic beds of atmosphere and constructed worlds of Italian Giallo, French Fantastique and British Psychedelic, Pagan and Folk Horror of the late 1960s and 70s. As well as the following American horror explosion of the late 1970s and 80s and the lines of kinship shared with the composers of early electronic music and concrete psychedelia who produced many of the soundtracks of the time. No better resource covers the source material that inspired this strange little burgeoning corner of the music world than the veritable home of horror studies, The Miskatonic Institute. In last year's interview with The Quietus founding member Virginie Sélavy with Mark Pilkington of Strange Attractor Press and Coil's Stephen Thrower author of "Nightmare USA: The Untold Story of the Exploitation Independents" and the recent plumbing of the depths of "Murderous Passions: The Delirious Cinema of Jesus Franco" spoke on the cross pollination of the postmodern situation. Where the genre definitions break down, and in their fertile collision producing contemporary works inspired by, and expounding upon the fringe cult film and music of decades past.